What is the best way to store crystals? 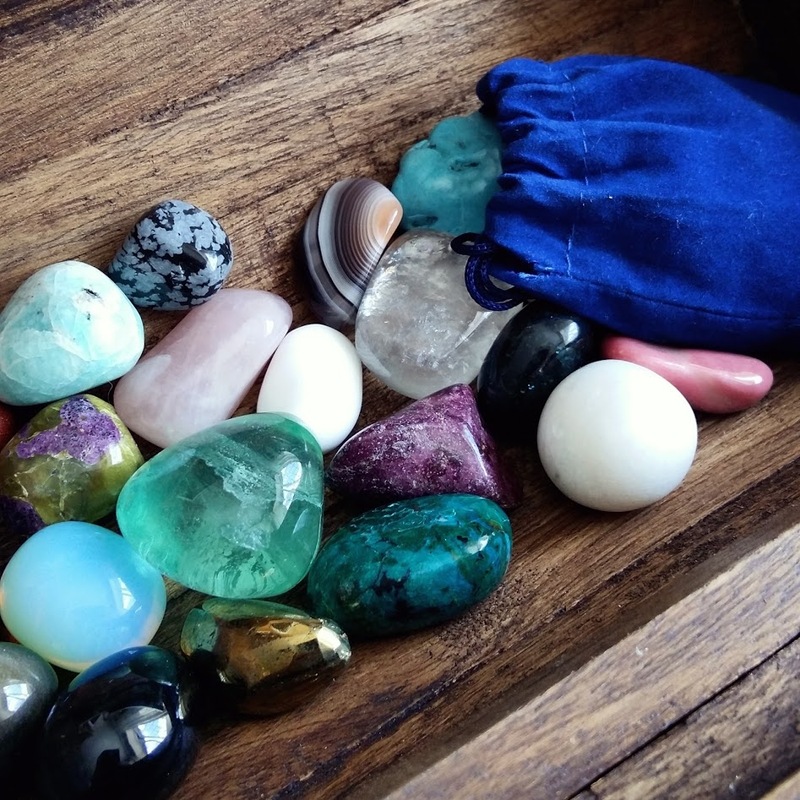 Learn how to organise and store your healing crystals and tumble stones when not in use. Storing crystals keeps them free of dust, sunlight and is the safest way to keep crystals from getting damaged. If you keep small, large, polished and unpolished crystals together they can scratch and chip. 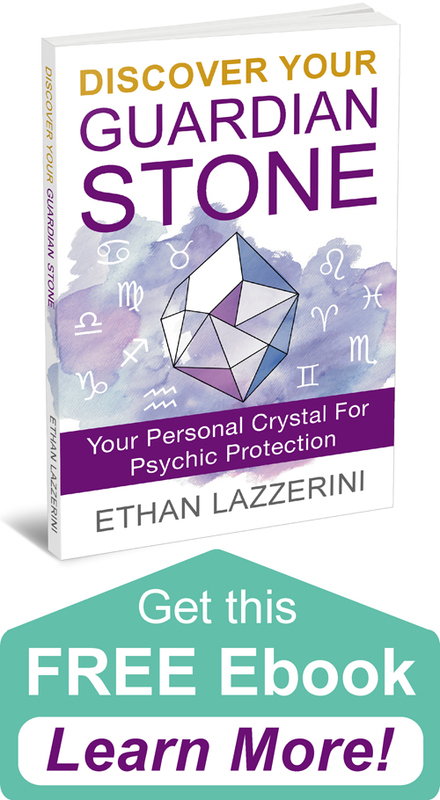 When storing crystals they are also shielded from other energies in the environment. It also makes it a lot easier to find what you are looking for! The first thing you want to do is decide how you are going to organise your crystals. There are many ways your crystals can be divided so I am going to list the main ways you could separate your crystals. A combination of these methods should work for different people and different crystal collections. There is no one size fits all. I will show you some examples of my own personal collection. First you want to make sure your crystals are separated into the main groups below. Then depending on how many crystals you have you can further divide the main groups of crystals up into smaller groups. So now that you have some ideas about how to organise your crystals, lets look at the different ways to store crystals. With a few tips and tricks from me! You can get drawstring bags and pouches made of velvet, cloth or leather. The thicker the material the more protective it is. I would avoid those Organza Bags with the nesh material as they will not protect a thing! Drawstring bags are best for storing small groups of crystals such as those for a Crystal Grid, your Chakra Crystal Set or organizing crystals by colour or type. They are better for Tumble Stones or medium sized Crystal Points. The other downside of drawstring bags is that you can’t see inside the bags so you will have to remember how you organised them. You can use a jewellery box which already comes with sub dividing sections and may be lined. Also try any type of wooden trinket box. I use a few wooden chests for my medium sized Tumble Stones and carved crystals such as Crystal Skulls. You can get really nice hand carved nested wooden boxes to store crystals. I have a few wooden Tree of Life chests which you may have spotted in my photos. They are similar to this Tree of Life Chest on Amazon. You may already have storage in the form of chests of drawers. What is good about drawers is that they have the more space to lay your crystals out. You can divide your collection up so crystals are easy to find plus the space allows for storing of your more fragile crystals. I got a small chest of drawers which was lined with velvet for most my crystals. Over time I began to organise each drawer with small gift boxes I kept (See photos). TIP: Ask your family and friends to save you the gift boxes from jewellery, crystals and other small items. I just add in these card boxes and sub divide some larger boxes later. This way I can separate different types of crystals and protect the most fragile. Some come with a cotton wool layer which protects and stops movement. What is also good about this tip is that I can customise it for my needs and change this around as my collection grows or changes. You may find some rustic chests of drawers in somewhere that sells handmade items or antiques. Like these small handmade wooden Mandala Drawers, suitable for smaller collections of crystals. I got my five drawer organiser from a craft store years ago, but you can also find good ones online. I found this Five Drawer Storage Chest on Amazon. They are made for jewellery so you already have dividers to get you started. Hopefully that has given you some ideas and inspiration to store crystals. How do you store your crystals? I would love to hear from you in the comments below (Please keep any questions you have on topic if you want a response). Thank you Ethan for a very useful and informative article. I have alot of organza bags but don’t like to use them for long time storage. I like your idea of using drawers esp. a portable set of drawers. I confess I have used a chocolate tin once to store in my small stones, is that okay, or should the container be wood not metal? I have really learned alot from you, for example it’s now our Spring here in Australia so I had best get my amethyst and citrine generator crystals off my library top where the sun pours in!! Thanks again. Hi Ethan, great subject. I thought about this for years and decided that the best way for me was in alphabetical order for easy access as I now have several hundred of them !! I wrap them in tissue and put them into a labled large zip bags which I the put a hole in the top corner and tag several of them together. They are then stored in labelled shoe boxes. The beauty of this system for me, was that I can add crystals simply by wrapping in tissue and add the number of crystals I have in the bag. I also have a list of my crystals and the amount I have in my computer. There is another list of my crystal and their uses. Shoe boxes can also be stored on top of each other, cost nothing and you even decorate them!! Thanks for sharing these great tips Veronica! iam born the 14 July ,according to it what stone should I use and in which finger so that can help me in my everyday life. I would recommend Moonstone, I do not believe that the finger matters so much. Great ideas. I have taken a liking to clear plastic chocolate boxes which have a liner that hold each chocolate. With it empty it hold my crystals safely and easily accessible. 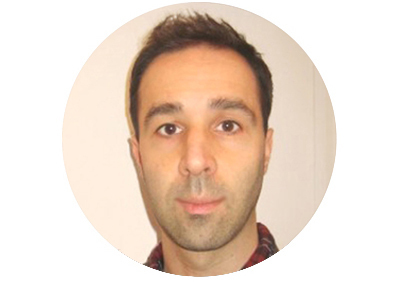 I enjoy your blog very much! Thank you for all the information and free eBooks. 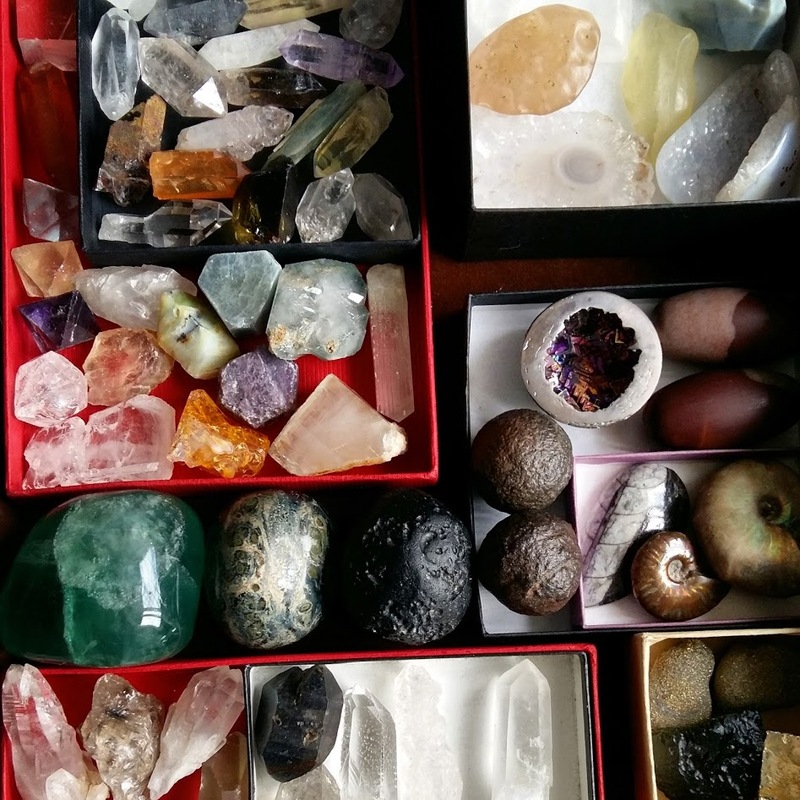 I store my crystals in plastic boxes made for storing beads or craft items. They are cheap but well made and already have divided compartments in them. I have a box for each chakra and that also helps with keeping them sorted by color and properties all at the same time! I have extra boxes for other stones as well since my collection seems to keep growing and growing 😀 I display my favorite quartz, amethyst and citrine as they are pretty durable and so gorgeous its a shame to put them in a box! Great ideas Candi, thanks for sharing! All of the suggestions for crystal storage is great. I especially like the jewelry boxes stored inside a dresser drawer. I’ve found that the boxed style jewelry trays work great also. I cut some felt and lined each compartment, but you can find some inexpensive ones that are already lined. And they fit perfectly inside a dresser drawer. 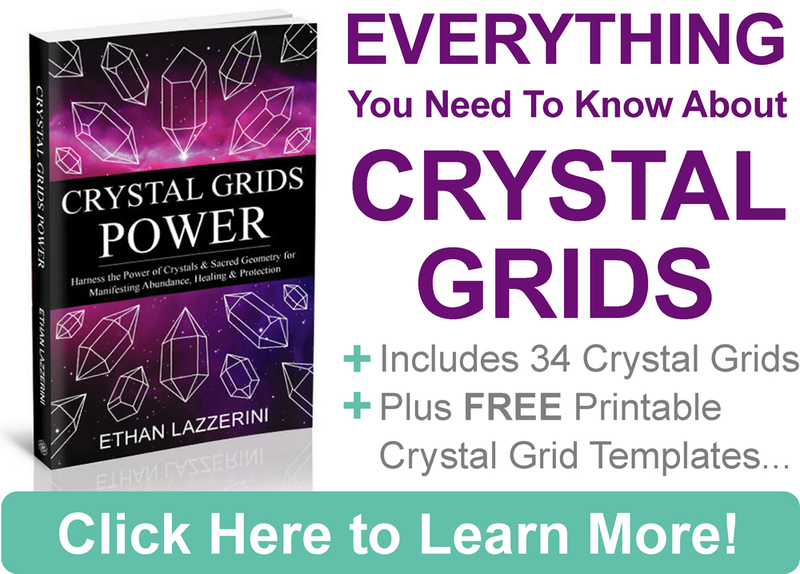 Thank you for taking the to share all the resources on crystals. Hi Ethan…I just learned about you and really love how simple and too the point you are. I have struggled with organizing my crystals mostly because I forget what they are. I use a free app called Evernote to help me organize. I can take a picture of the crystal I own with my camera, upload it to Evernote and title it with the crystals name. Then As I learn more about the stone I can keyword it and write notes. I have little plastic bags that each crystal goes in with its name written on it. I think the hardest part for me is remembering what crystal I have and identifying it if I lost that information. Thank you so much. Great tips Dani! yes taking photos and recording the names is a great way to never forget what you have. Wow! Thank you! I’ve been sitting here thinking about how I would like to store all my healing crystals. I decided to search google for suggestions and your wonderful idea of using a drawer came up. And it’s perfect because the table that most of my stones are on has a drawer I can easily transform into a safe space for them. I already know how I want to categorize them I just needed the place to do it. Thanks again – can’t wait to get started! Thank you the crystal storage article! It was just the information I was looking for. Hi Richa, there is a blog post which covers compatible crystals called Can you carry or wear too many crystals. With manifesting things, it takes time and crystals are only part of the answer, your mind and actions are just as important. I assume you are programming your crystals for your intention and keeping them clear. I really love using tins that have see through lids, the edge is tin like the bottom, but the center is a hard see through plastic. They work great. That way you can see them, and no dust gets in. I use bamboo tea storage boxes. You can get it on Amazon . I have found plastic ice cube trays with lids work best for my smaller crystals.stackable portable n already divided. Hallo Ethan, thank you for the wonderful article. I have been wondering how to keep my tumbled stones. 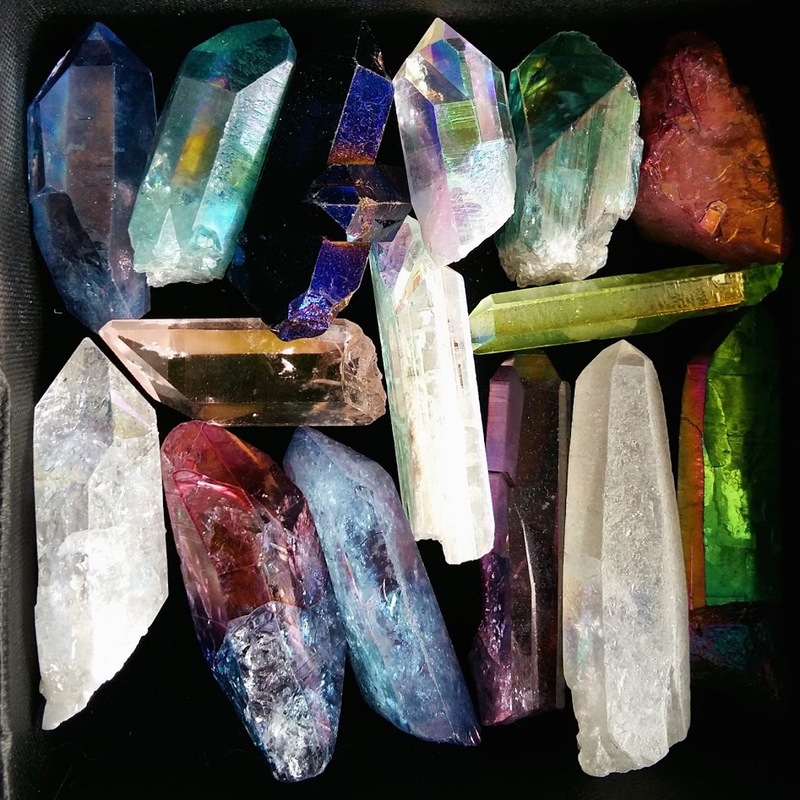 I do have a question, if let’s say we didn’t cleanse our crystals well/forgot to b4 storing it, will the ‘negative’ energy sort of ‘pass on’ to the other stones (if they are not as high frequency) and eventually all the stones in the same bag/box become affected by it? I’m not sure as I cleanse all crystals after use. I think it is unlikely but if you have reason to believe that then cleanse all your crystals. I store my crystals in little zip lock baggies, is that ok to do? I don’t mix gems in the same bag, but i dont remember what they are so i keep a piece of paper with the name on them. When i need them, i take them out and smudge them. i am new at this so not sure if that is ok. I think it is okay, lots of people use bags to organise and separate crystals and crystal beads. Plastic has a neutral energy to me so it does not add or take away anything. I’m glad you pointed out that we’ll want to separate polished and unpolished crystals when we store them. 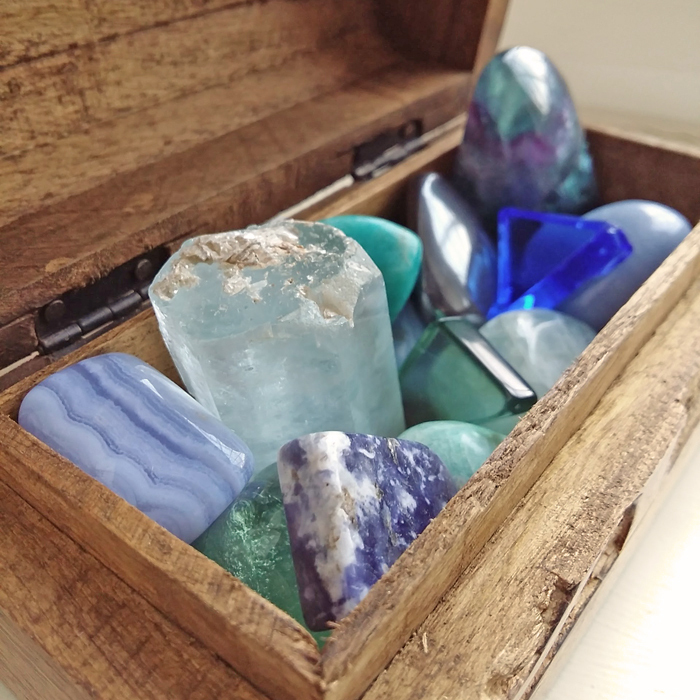 I’ve recently become interested in healing crystals, so I’ve been doing some research on the best way to store them. I think I’ll end up storing them in trinket boxes, so thanks for the reminder that I should separate the polished crystals from the unpolished ones! Hi Krista, happened to stumble upon your channel today and I must say, I loved it! Thank you for sharing so much info and knowledge for the benefit of mankind. How do you cleanse and charge so many of them? Is there any quick way to do it, without taking them off that rack, like maybe play a singing bowl near them or something? I have like hundreds of different tumbled stones that I don’t use frequently. They’re in a plastic storage container. So, pls. suggest me the best way to cleanse and keep them charged. I usually sound the gong (similar to singing bowl) near them & allow them to absorb its sound waves before I sound the gong again. I’ve also heard that keeping a rough citrine along with all the other crystals will help cleanse them & keep them charged. Hi Ethan, happened to stumble upon your blog today and I must say, I loved it! Thank you for sharing so much info and knowledge for the benefit of mankind. Hi Sattvic, yes using sacred sound methods like a Singing Bowl, Gong or Tingshas can cleanse lots of crystals in one area without having to move them or hold each one. I personally do not rely on crystals in my collection to keep the others cleansed. Thank you so much for the reply, Ethan! Your resources are doing a noble of job of spreading love and light in the planet. Thank you again. I was given glass boxes with brass metal adhering the sides together. Is this a good option for storing stones? Do you know if the stones will absorb any of the lead from the brass? I have used these, they help keep dust off and I’ve have no problems.